ArcheMedX is pleased to announce a new collaboration with Healio.com Education Lab. Since the launch of the ArcheMedX digital learning and insights platform in 2013, providers of CME/CE for clinicians have been able to develop and efficiently launch more engaging and impactful online education. And now, with the collaboration established between ArcheMedX and Healio.com Education Lab, providers can leverage Healio’s extensive reach into 19 specialties with the ability of the award-winning ArcheMedX platform to provide more effective education through increased data utilization. The foundation of Healio’s powerful platform is delivery of education and information to health care professionals at the specialty and subspecialty level, all while providing an exceptional user experience. Healio’s Education Lab has a loyal following of learners, making it the ideal environment to host educational activities. ArcheMedX continues to innovate in online education with a proven platform that has shown, through several comparative studies, to be significantly more effective than traditional forms of online CME. To learn more about the ArcheMedX platform and Distribution Partner Network please contact Kenny Cox, VP of CME at kenny@archemedx.com and to learn more about Healio.com Education Lab please contact Meredith Barnes, Senior Account Manager at mbarnes@healio.com. As we all know, healthcare continues to evolve in its focus on improving patient care through emerging models that emphasize quality improvement and patient engagement. The patient-centered medical home (PCMH) model was engineered to impact both of these issues by replacing the patient at the center of his/her own care in partnership with their primary care team. However, evidence suggests that transformations to the PCMH model can be challenging and often require education and support to help clinicians embrace the functions and attributes that constitute a PCMH. The National Committee for Quality Assurance (NCQA), as the leading certifying organization for PCMH, has partnered with Med-IQ and ArcheMedX to deliver education and resources for its Patient-Centered Medical Home Recognition Program. 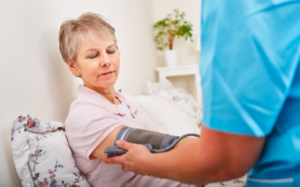 A recent article in the Alliance Almanac, Strategies for Success: Addressing the (Unique) Needs of the Patient-Centered Medical Home, provides an overview of the educational initiative, outcomes data, positive impact, lessons learned, and plans for continued enhancement. The value of the Strategies for Success model lies in the ability for educational activities to be taken individually or together as a team. The shared learning experience, powered by ArcheTeam, enables participants to view, download and recommend practice-based tools and to engage in team discussions about how to best apply evidence-based approaches to their practice. Additionally, the series offers practice management tips and suggestions for optimizing care, helping the team communicate more effectively and enhancing patient outcomes. More than 2,000 team members (both clinical and non-clinical) from more than 600 practices have engaged in educational activities across a variety of clinical areas. 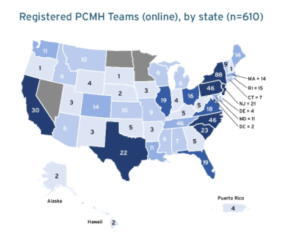 The transformation to a PCMH model requires ongoing team-based engagement and blended clinical- and process-oriented education as well as strategies that enhance communication and care coordination. It also requires a transformation toward and a commitment to continuous quality improvement. This Strategies for Success pilot found that this model uniquely supports learner and team engagement and has led to significant positive changes in knowledge, attitudes and competence. Congratulations to the team at NCQA and Med-IQ for development and implementation of an initiative that provides the continuous education and engagement needed for the PCMH model to be successful and sustain practice transformation.